This Private Shore Tour in Tenerife is especially dedicated to visitors traveling by cruise liners and making a stop in Santa Cruz de Tenerife. It is also the best option for an excellent private excursion in Tenerife for those who stay on the North of the island. 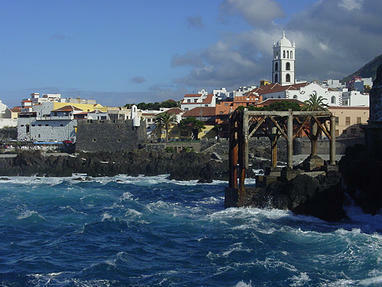 Private Shore Tour in Tenerife allows you to visit the most important parts of the island on a day tour. We will pick you up by luxury Mercedes Benz limousine if there 1-3 people in your private group. If there are 4 to 8 people in your family or a group we will go on our private shore tour with more spacious mini-bus or van. In the case, if your private group is a bigger size, 9 people and more, then the private shore tour will be made by our tour bus, which’s also comfortable and air conditioned. We will pick you up at our collection point right by the harbor of Santa Cruz de Tenerife (or at your hotel if you are not coming with a cruise ship). This VIP shore excursion in Tenerife will show you the most interesting and important attractions and incredible diversity of our island. In the case of a smaller group up to 8 people during the trip with experienced driver/guide, speaking your language, we will firstly visit the town of Candelaria with its Basilica of Black Madonna and statues of 9 kings. If the group is bigger, we will drive through the mountains along the road so called a backbone of Tenerife directly to the National Park Teide. It because a bigger bus moving slower and it takes a longer time at each stop, so we have to cut visiting Candelaria in the case of bigger private groups. 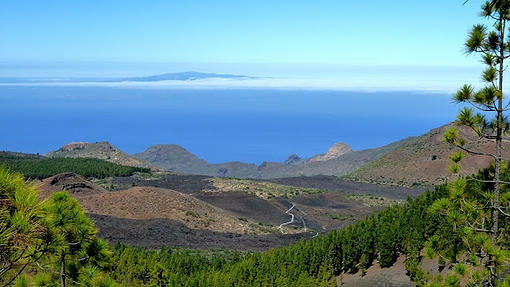 On the way to Teide, we will drive through the beautiful Canarian pine forest constantly going up to the altitude of 2200m over the sea level. 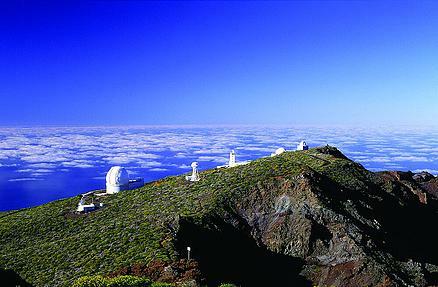 Along the way to Teide with our private shore excursion, we will make a few photo stops with incredibly scenic views of the La Orotava Valley, Teide Observatory and, surely, Teide – the highest mount in Spain and the Atlantic Ocean (the volcano Teide is 3718m high). 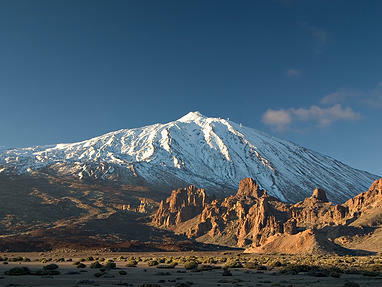 Our private shore tour in Tenerife takes us along whole the Teide National Park which’s the biggest single crater in the world by itself. The crater was created by an enormous eruption which took place approximately 150 000 years ago in the middle of the island. We will stop by a volcanic colorful desert, where you can walk a bit in a scenery of the Moon, Venus, and Mars at the same time. It’s really unusual experience. Later on, we will pass right by the foot of the volcano Mount Teide which has raised up with the next eruptions in the middle of the prehistorical crater. We will make next stop by the Rocks of Garcia. This is unusual rock formation – surprisingly with not the volcanic origin. These rocks were created by pressure and movement of tectonic plates and will have a feeling you are somewhere on another planet. 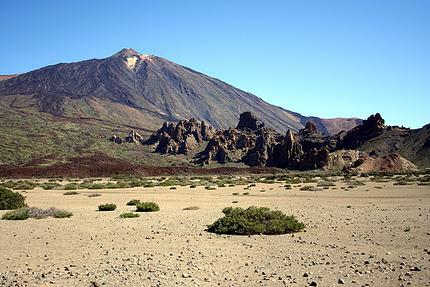 Later our private shore tour in Tenerife takes us through the youngest black lava field of Teide and National Park Chinyero. 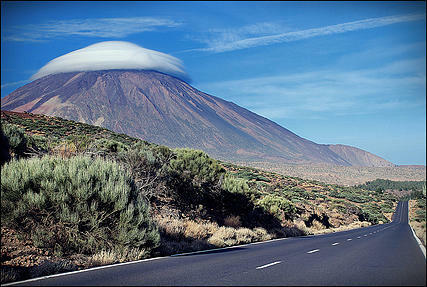 Chinyero is the youngest volcano in Tenerife. The last eruption took place there just a hundred years ago. Descending to the west of the island we will drive through the Teno Mountains which also forms the giant cliffs of Los Gigantes. 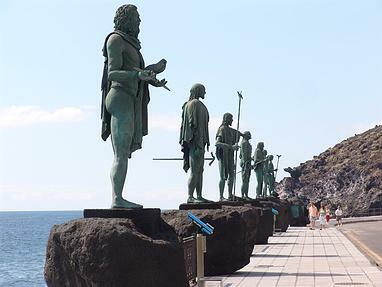 The extremely scenic narrow road takes our private shore excursion to the old pirate village Masca. Pirates were hiding from the government here in the past because the area was inaccessible. And just after 20 minutes driving, you will admire unusual phenomena of the border between two different climate zones – the place where North and South of the island meet each other. The temperature will suddenly drop a few degrees and landscapes will change from the dry South to the green North with its lush flora. We will pass through the less discovered by tourists typical agriculture area where you can see how farmers are growing fruits and vegetables on terraces and how simple and peaceful life is there. 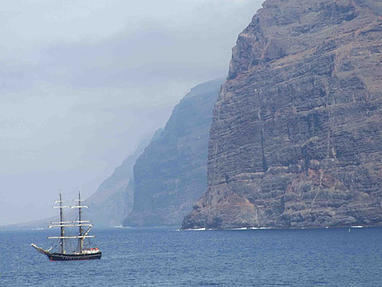 Our private shore tour in Tenerife is not complete without visiting Garachico. This small town was the first capital and main trade harbor of the island and a kind of local Pompei. Garachico was half destroyed 300 years ago by the last big eruption of the volcano. Now the town is full of life and you can visit cozy main square with two churches survived the disaster 300 years ago. Here you can also see the Castillo de San Miguel – a fort where from locals were defending from English ships attacked the harbor. You will also admire the rests of the old shipyard and natural tide pools formed by lava – a very scenic place. Having more time here you also can take a break with a cup of coffee in one of the small local restaurants. 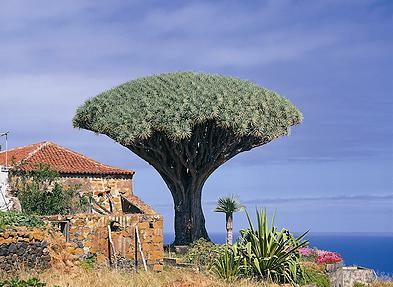 Later, if the time will allow us, we will visit the center of the winery of the island, the old town of Icod de Los Vinos, where you can see a quiet tropical park and the oldest and biggest endemic Dragon Tree in the world. Then we will drive back to your cruise liner in Santa Cruz de Tenerife passing by the way the Valley of La Orotava and Puerto de la Cruz. “Anyone interested in getting a true feel for Tenerife can do no better than book a tour with Gregory. We were picked up at our hotel near the South airport and provided a customized tour of the island before being dropped off at the cruise terminal in the North. While Gregory had a clear plan on which parts of the island he wanted us to see, he was consistently responsive when any one of our group of four had a special request or need. I recommend that you let him know if you have your heart set on something, but otherwise let him take it from there. A worldly guy, Gregory speaks great English (along with “5 and a half” other languages). His explanations of local customs and cuisine not only helped us appreciate our experience that day but allowed us to acclimate more quickly to the other Canary Islands that we visited in the days to follow. Our tour with him included Masca (and its winding, exhilarating road), Los Gigantes, Icod de Los Vinos, and several other coastal communities. We stopped for barraquito (enhanced coffee) in the mountains, lunch at a cute little neighborhood eatery, and wine tasting at a wine museum. We have taken a ton of island tours over the years, but this was the first time that a guide asked if he could extend the tour at no additional charge because we had time before we needed to be on board and there were other sites that he thought we could see. Note that Tenerife Host can book tours pretty far in advance; a consequence of generating so many well-deserved five star reviews. In order to make your booking of your Tenerife Private Shore Tour from a cruise liner easy and comfortable Tenerife Host use the most advanced and user friendly booking platform TripsPoint.com where you can easily check last actual prices, the tour availability, required booking deposit and book this tour. To get more information of your Tenerife Private Shore Tour from a cruise liner and do booking, please, click the button ‘Book Now’. You will be taken to the tour page at TripsPoint.com where you can easily book the tour. Once the booking of Tenerife Private Shore Tour from a cruise liner made at TripsPoint you will get your tour Voucher / booking confirmation with all details, including exact pick-up point, pick-up time, pick-up point map. In the case of any questions about our Private Shore Tour in Tenerife, please, feel free to contact us. When you disembark in Santa Cruz de Tenerife there will be waiting our guide-driver right by the check point at previously arranded date and hour.